Team New Zealand has struck the first blow in the 2017 UBET Origin Jockey Series, with Larry Cassidy taking out a Go Karting challenge held at yesterday’s series launch at Slideways Go Karting Brisbane. Participants from the New South Wales, Victoria, South Australia, Tasmania, New Zealand and an ‘All Stars’ team, hit the track to get the blood pumping ahead of the opening legs of the series at Doomben today. The action returns to Doomben for metropolitan racing on Saturday (December 9), featuring the Listed Brisbane Handicap and the Listed Just Now Quality, before moving to the Sunshine Coast Turf Club for the final legs on Sunday (December 10). 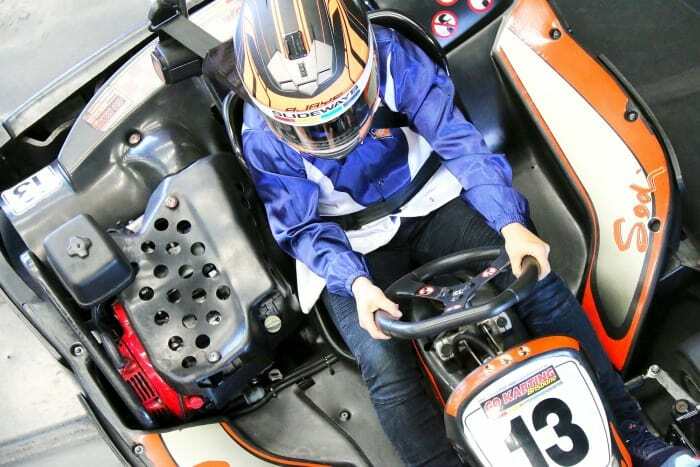 Cassidy was bullish about his team’s chances on the Go Kart track and delivered in style, beating home South Australia’s Dwayne Dunn and fellow Kiwi, Damian Browne. And, he is pumped ahead of the first leg of the series in Race 5 (4.50pm) today. “I think we might have to do the haka before we come out just to get the juices flowing,” he joked. Back from Singapore to help NSW defend its title is one-time Queensland apprentice and Melbourne Cup winning jockey, Michael Rodd. “It us good fun and a good opportunity to represent our state. For me I always think of State of Origin football so for me and Tye to pull on the Blue Jersey to represent NSW is very exciting,” Rodd said. Check out all of the action below!